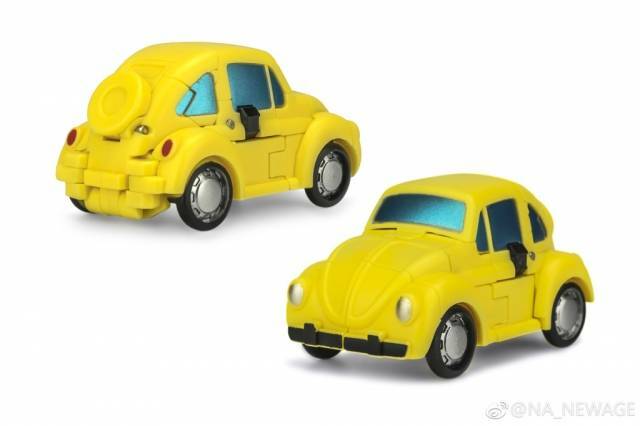 Newage H1 - Minicar stands 6CM/2.4" tall in robot mode and transforms from a minicar to robot and back. 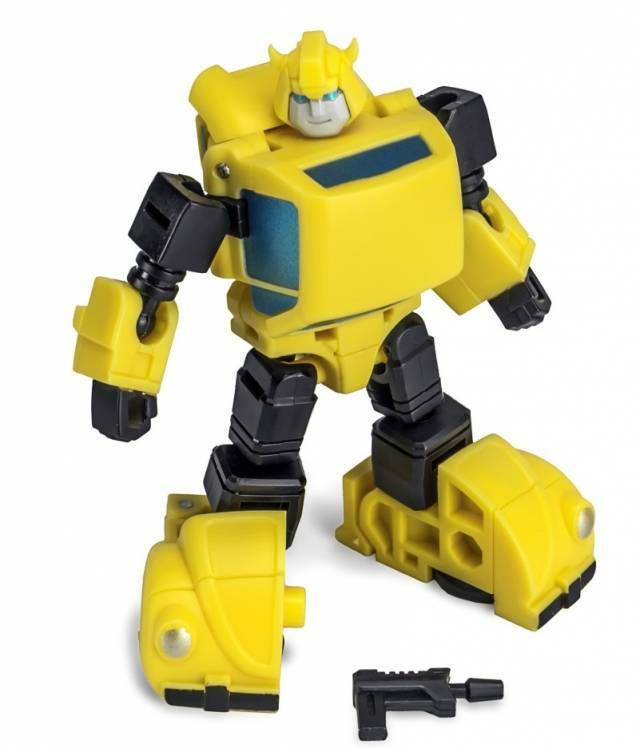 Figure includes a jetpack, pistol and can fit in the back trailer of DX9's Dutch (sold separately). 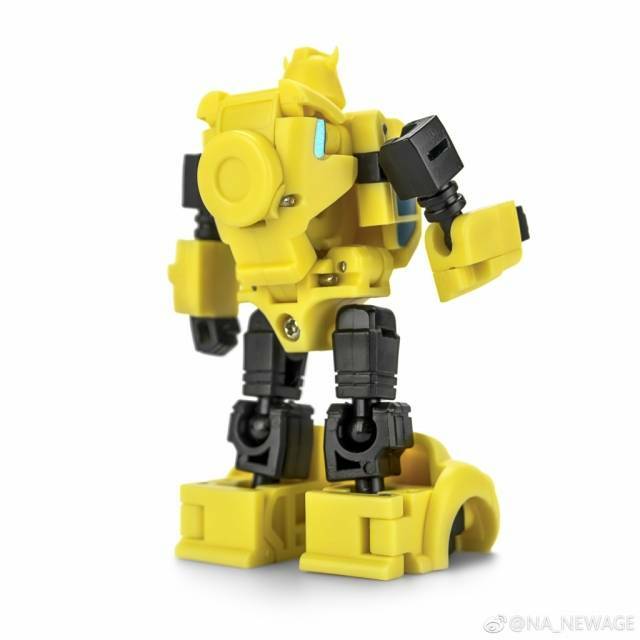 I have the MP Bumblebee, but this is easily one of my favorites since due to the small size that does not lack in detail. It goes great with other legend size figures in terms of matching sizes and has a bunch of options in terms of poses. 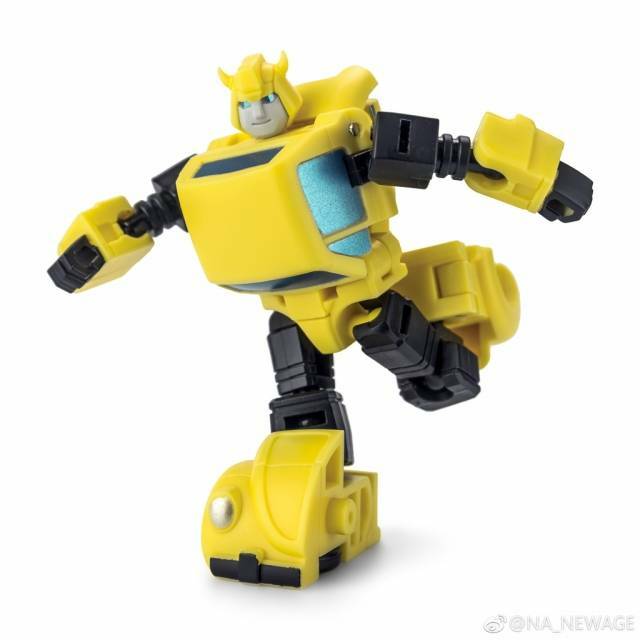 If only the G1 Bumblebee was this good I probably would have never let my mom get rid of it as a kid. Highly recommend! 10/10. i'm still surprised at how small he is! I was worried that a figure this teensy would be worrying to transform. Like how some of the WST toys felt like you needed tweezers and a sniper's breath control to get them from mode to mode. NOPE. Flipper is pure joy to play with. For his size, all the hinges are nice and thick and turn snugly. I have zero worry about breaking him. His paint's quite sharp, especially the blue. Head is perfect and adorable. His chunky chest and feet make posing a little difficult, but he compensates by having more articulation than you'd expect. In car mode he's solid as a ball bearing. And his transformation!! SO MUCH FUN!! 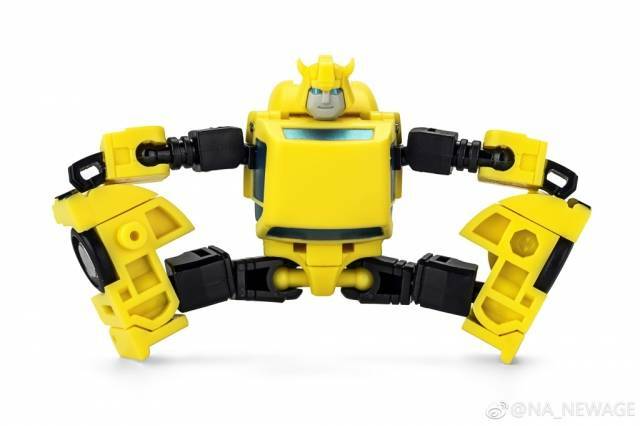 I love how his torso basically swallows his back wheels out of sight. And I love that they could have left the back of the roof sticking up behind his head, but instead the whole thing collapses quite tidily. For a company's first figure, I'm blown away. I'd love to see them do more MP level ingenuity in other tiny bots. (Wheelie, perhaps? Dare I hope for Scrounge!?) Sweet Jesus, he is worth the price. Buy him right this instant. He will fill your life with happiness. I placed my order for this guy just about the moment I saw him and I do not regret it one iota. What a cutie! I've been so busy smiling over him, I haven't even bothered opening the rest of the figures in my order. Knowing that he would be two and a half inches tall did not prepare me for how tiny he is in person. Holding him in my palm makes me feel like a giant and seeing him dwarfed by my legends scaled figures fills me with affection. 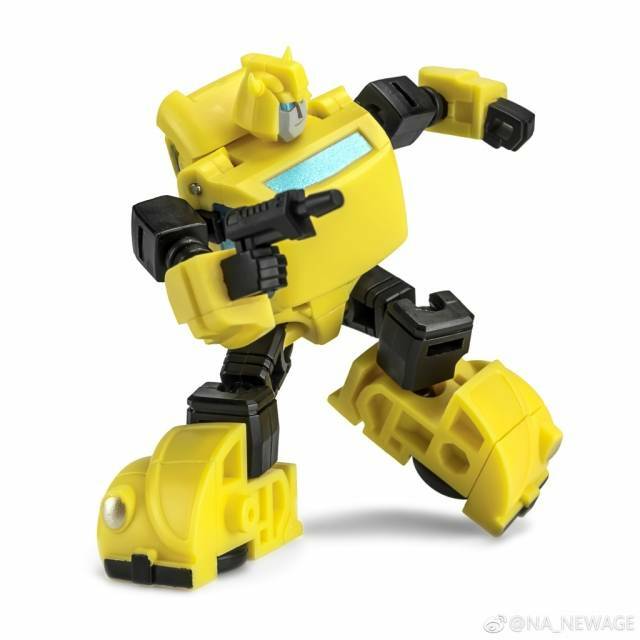 He has ball joints for days, some nice ankle tilt and a good sense of balance. This is one posable little fellow. Due to his small size, some steps of his transformation can feel a tad fiddly-- which can feel dangerous, given that he's not very solid. The fear, as far as I can tell, is all in my head, however. While not solid, he doesn't feel cheap either. It's just looking at such small parts and knowing that I have to move them that gets my heart pounding. As for criticisms, I have few. Realizing his tires don't move was a letdown, first and foremost. 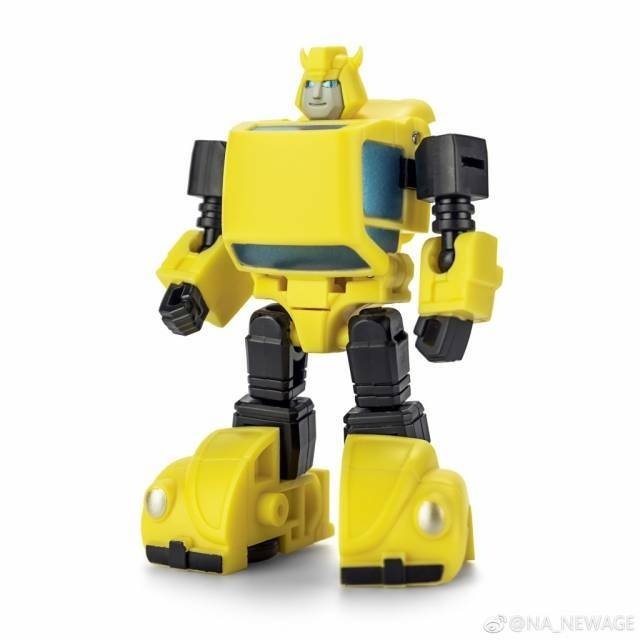 I'm not sure why they didn't just make the bases of his shoulders yellow; the black is somewhat glaring on his alt mode. Finally, while his gun fits snugly into his undercarriage when he's in his alt, it's loose in both fists. It fell onto my carpet earlier and I nearly had a heart attack. On the whole, though, this is an excellent buy. And, I mean, come on-- how can you say no to that sweet little face?